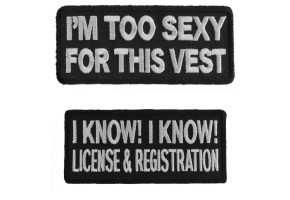 Another hugely popular biker patch that says "Loud pipes save lives". Although people do complain about how loud some Bikes really are, at the end of the day, the louder your pipes the more chance you are heard, hence noticed when you are riding on the road. Never know when an idiot will change lanes without checking his mirrors. 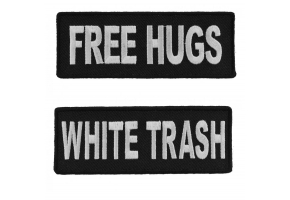 The patch is embroidered in white over black and measures 4x1.75 inches. 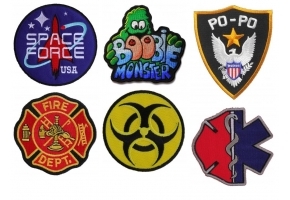 Patches are also known as iron on appliques, sew on badges, insignias or emblems. 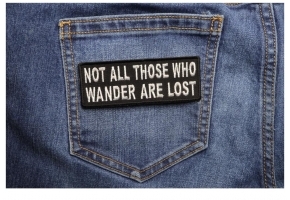 I have an embroidered patch on my jacket which is very true. 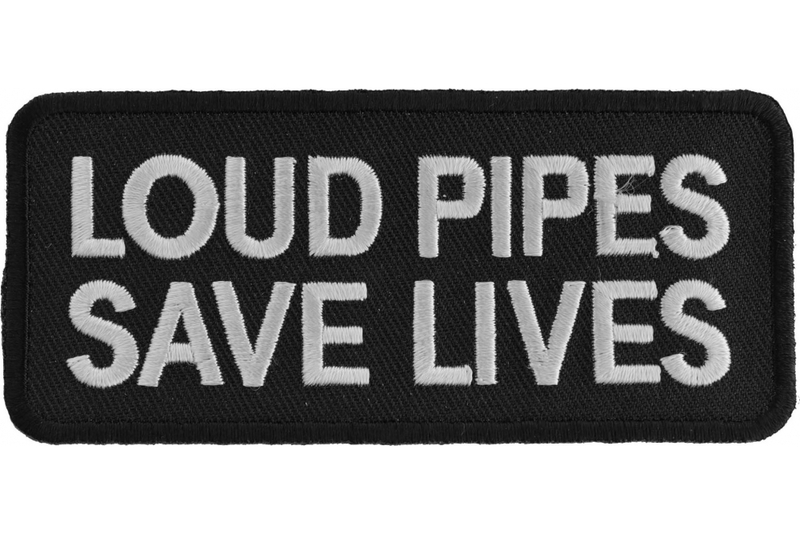 The Loud Pipes Save Lives Patch is one that I have actually had experience with. My mom was always giving me hell for the noise my bike makes. I still live at home with my parents but I have my own motorcycle and I'll admit it is quite loud. My mom gets embarrassed about the noise of my bike, especially if I get up early in the morning or arrive home late at night. She thinks it's inconsiderate to be making so much noise and disturbing the neighbors. But there's not much I can do about it. At least I'm not throwing wild parties for hours on end. I've tried telling her this but it still doesn't wash. Anyway I have another reason for having loud pipes on my motorcycle. I have heard of a few people being killed before at night by motorcycles which did not make so much noise. I actually had a near escape from causing the death of a teenager one night. I was riding along an unlit road around eleven at night and when I rounded a corner I saw a group of kids messing about on the side of the road. I also noticed this guy pulling his friend back off the road when he heard me coming. Now that could have so easily been a tragedy had it not been for the noise by bike makes. So this is what I tell my mom when she starts harping on. And as soon as I rev up my bike I see the kids on the street running into their yards so that can't be a bad thing. I actually think there's more to my mom's complaints about my motorbike than just the noise. She has never liked them and thinks that only bad people ride round on bikes. She thinks I am falling into bad ways because I have stopped going to church and because I prefer to be out riding around than sitting inside a church on a Sunday morning. I've tried telling her that I'm just growing up and that I'll find my own way. 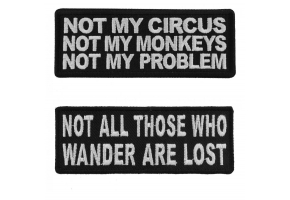 I have had enough of being preached at and now that I am an adult I want to live my own life, my own way. I'm sure she thinks I've sold my soul to the devil to be honest. She is very religious and the fact that I seem to be turning my back on the church is really upsetting her. 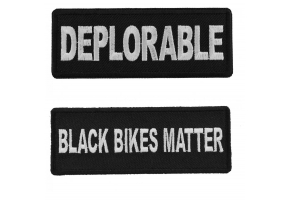 In fact I didn't really realize how much until she handed me a new biker patch for my jacket. The Loud Pipes May Save Lives But Jesus Christ Saves Souls Patch was her way of telling me that I need the help of the Lord. I thought this was hilarious and some sort of joke but she was deadly serious. Maybe I should start going back to church at least once a week just to get her off my back! 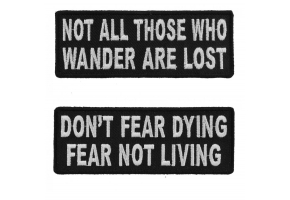 Well, would there be a rider who would not invest in embroidery which has these words on them? These words can catch attention of every rider and it is mostly because when the sound of the bike that you own makes a lot of sound, it gives a different feeling altogether. 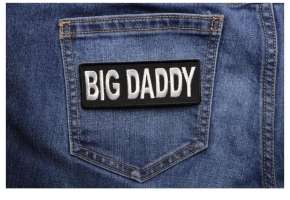 If you are in for some compliments then, you must certainly get this patch stitched on your denim jacket or any other vest. It would not only set trend but it would also ensure that you have your own style to follow. Well, no one other than a rider can do this, isn’t it?